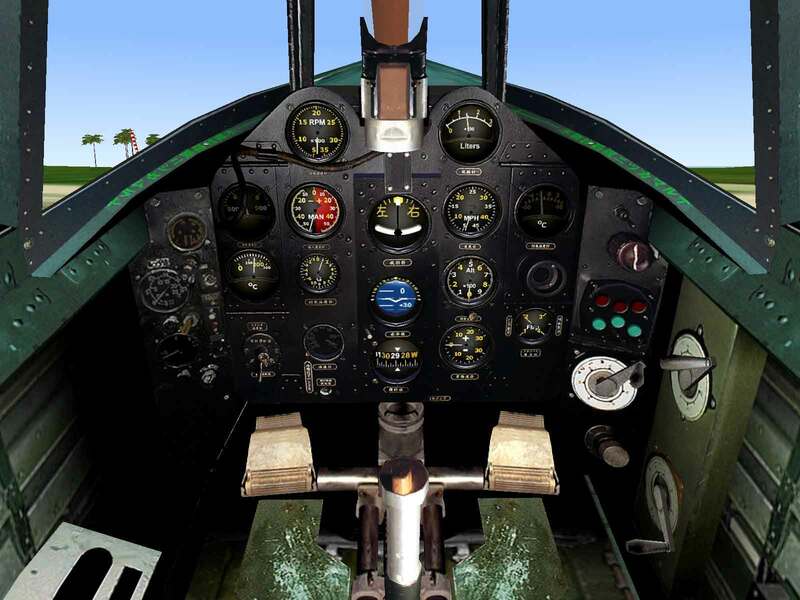 Maneuverability – With its automatic flaps the George is the most maneuverable late-war plane. Ground Attack – With four 551 lb. bombs and four 20mm cannon, the George can take smaller tank columns. Firepower – The four 20mm cannons are of advanced type and give the George firepower equal to all but the 30mm armed planes. Speed – As with most late-war Japanese fighters, the speed was considerably less than that of the Allied fighters it faced. Japanese Naval offensive strategy in 1940 envisaged the need for fighter support in areas that had no airfields and which were not well suited to carrier operations. To fill this need, a series of floatplane fighters was ordered from the various manufacturers. While Nakajima was tasked with converting the A6M2 Zero into a floatplane fighter, Kawanishi was to design and build one from the ground up. To help offset the effects of engine torque on take off. the initial prototype used a pair of two-bladed, contra-rotating props. However, troubles with the gearbox system resulted in the replacement of this complicated system with a standard Kasei radial driving a three-bladed prop on the second prototype. The resulting torque effects made takeoffs dicey for all but the most experienced pilots, but despite this problem the Navy accepted the plane for service trials in August 1942. Service trials were successful and the Navy ordered the N1K1 Kyofu floatplane fighter into production, the first machines being delivered in Spring 1943. 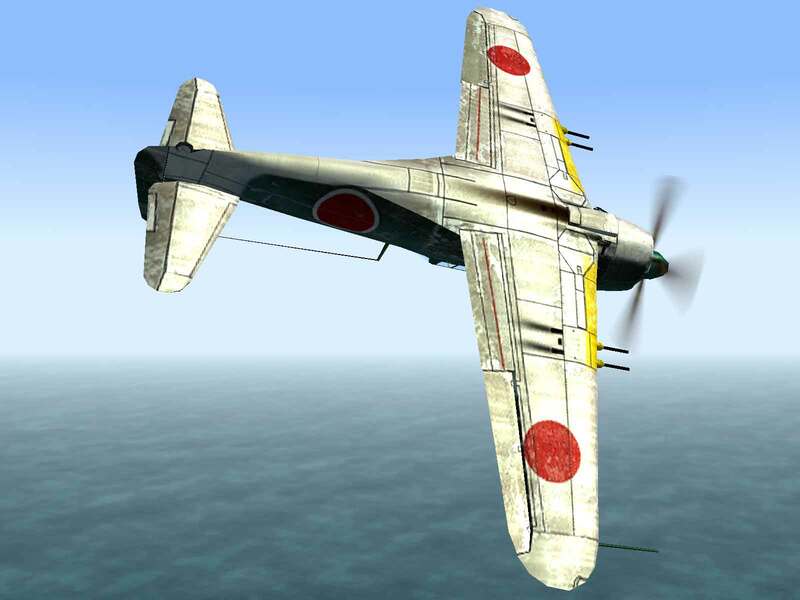 Meanwhile Kawanishi engineers felt that their design would also serve as the basis for a successful land-based fighter. Lacking a contract and official approval, the company decided to fund development themselves. Although they initially planned to make no changes other than to replace the floats with retractable landing gear, it eventually was decided to replace the 14-cylinder Kasei radial with the new 2,000 hp 18-cylinder Nakajima Homare engine driving a four-bladed prop almost 11 feet in diameter. Because of the mid-fuselage wing mounting and large diameter propeller, the plane had to use extremely long landing gear, which had to be contracted using a complicated double-folding mechanism in order to fit into the wheel-wells. On December 27, 1942 the first flight of the Model X-1 Experimental Land-based Fighter took flight at Itami Airport. Armed with a pair of 7.7mm machine guns in the cowl and a single 20mm Type 99-2 cannon in a gondola under each wing, the prototype was plagued from the start by engine and landing gear problems. However, once in the air, the plane displayed excellent handling characteristics and, with the automatically deployable combat flaps, was almost as maneuverable as the Zero. Despite the fact that it was a private venture and the top speed was not up to expectations, it was still the fastest fighter then available, so the Navy ordered it into production as the N1K1-J Shiden Interceptor Fighter. Seventy N1K1s had been built by the end of 1943, these having an additional 20mm cannon mounted in each wing, just outboard of the under-wing gondolas. Despite the continued engine and landing gear problems, the Navy authorized quantity production to begin. Just prior to the American landings in the Philippines, the 201st Kokutai transferred to Cebu where many Shidens were destroyed on the ground and many others destroyed by engine and landing gear failures. However, the ones that did get into the air proved the plane to be an exceptional fighter, more than capable of meeting the American planes on equal terms. The Allies gave it the code-name “George”. Development of the Shiden continued during production and in addition to an upgraded Homare 21 engine the armament was continually upgraded. The -Ja model had the machine guns in the cowl removed and all four cannon mounted inside the wing. The -Jb model added a pair of bomb racks under the wing stressed for 250 kg each and the -Jc upped the total to four bomb racks along with the four internal wing-cannon. However, Kawanishi viewed these as only stop-gap measures while they worked on an advanced version of the fighter. The primary reason for designing the N1K2-J Shiden Kai was to eliminate the need for the long, complicated landing gear legs. To accomplish this, the wing was moved from the center-fuselage position to underneath the fuselage. This required a complete redesign of the fuselage and tail section, as well as new landing gear legs. The first N1K2-J prototype was flown on December 31, 1943. By April 1944 the prototype was handed over to the Navy for Service Trials. Although it had been mostly redesigned, the N1K2-J retained all of the excellent handling characteristics of the previous version and the Navy authorized quantity production before Service Trials had been completed. Along with the final seven prototypes, the first production machine rolled off the line in June 1944. Initially produced without bomb racks, the N1K2-Ja with four bomb racks soon assumed prominence on the production line. 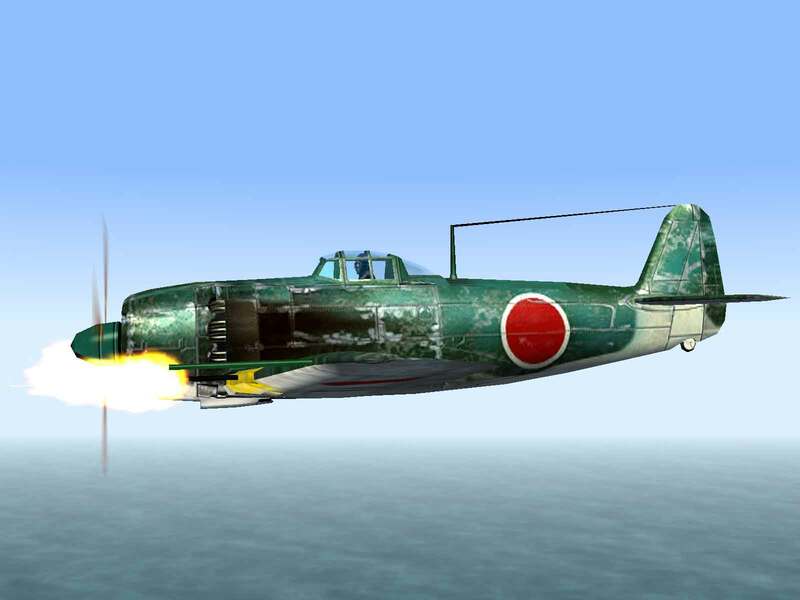 In combat the N1K2-Ja proved to be as good as anything the Allies could put into the sky. 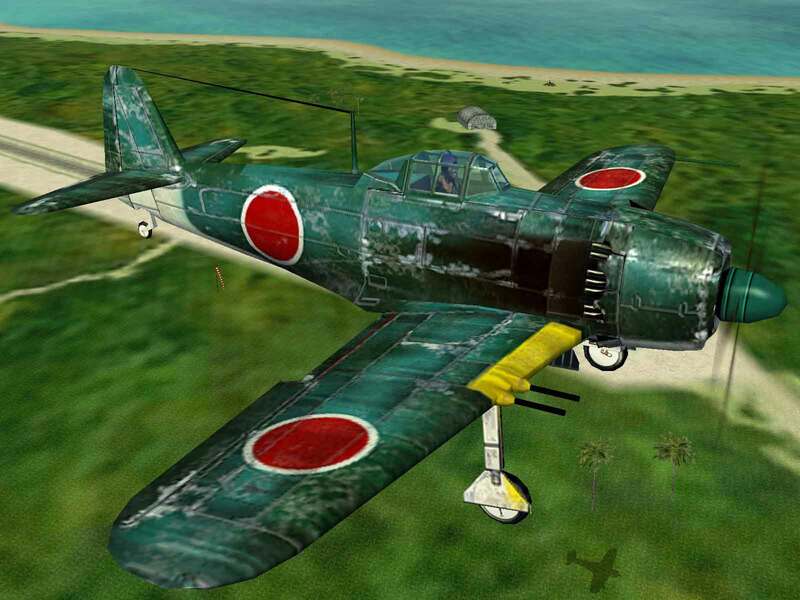 In the hands of an experienced pilot, the Shiden Kai could deal with the American planes handily, as evidenced by Warrant Office Kinsuke Muto of the 343rd Kokutai in February 1945. In a lone encounter with twelve F6F Hellcats, he shot down four before the others broke off combat to run for safety. Unfortunately for the Japanese, the B-29 raids destroyed many of the plane’s manufacturing facilities. 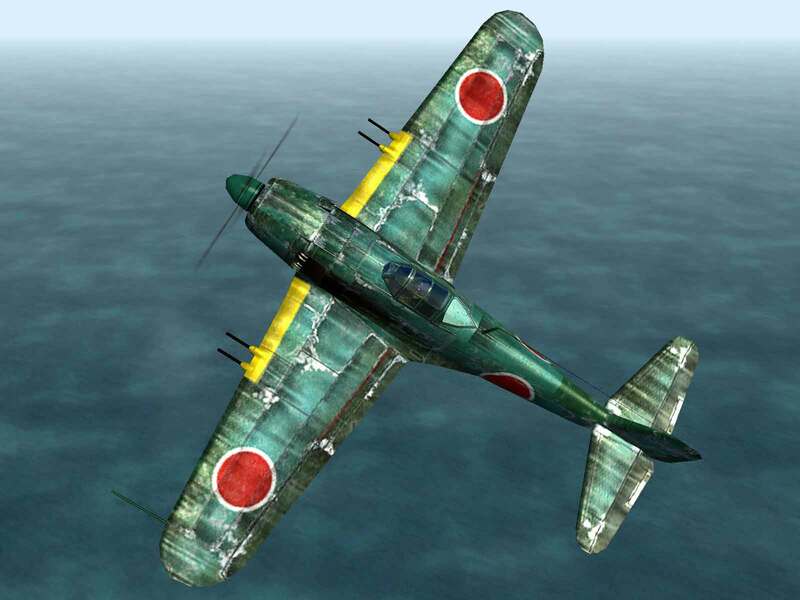 Only a little over 300 N1K2-J fighters were produced before the war ended.